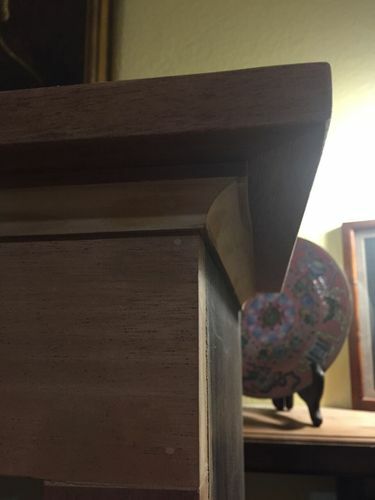 A comment by RobNPHX @ lumberjocks.com asked about the details, so I thought I’d post a couple of pics about the detail trim. Here are a couple of shots of the top of the bookshelves. On the very top, I placed a 2-1/2” x 3/4” strip around the top. It overhangs the sides and front face frame by 1-1/2”. 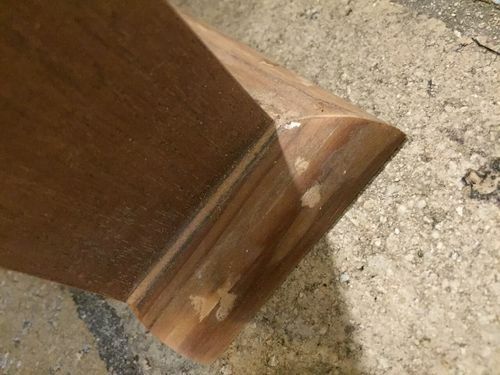 Under that is a strip of 3/4” material that I made into a cove molding. 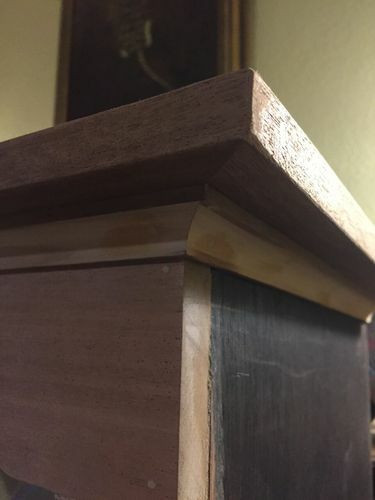 And at the base of the bookshelves I placed 3/4” quarter round just to finish off the bottom. I’ve now finished the first cabinet and bookshelf, but I confess I’ve been tardy in getting the photos uo on Lumberjocks. Your post makes me recoginise I need to do that. I’ll try to get that done shortly. Thanks for your your comments.